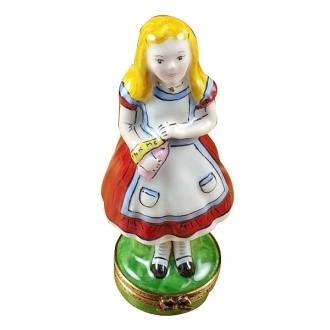 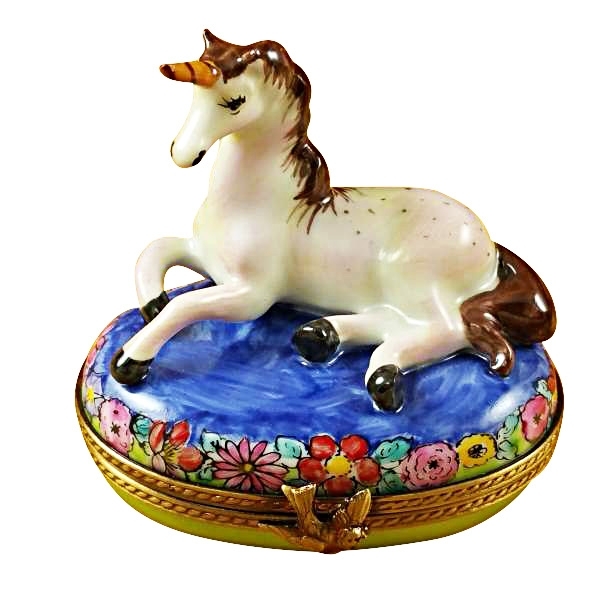 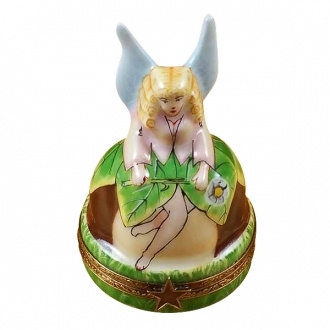 UNICORN - Limoges Boxes and Figurines - Limoges Factory Co. This pretty little Limoges box is round in shape. 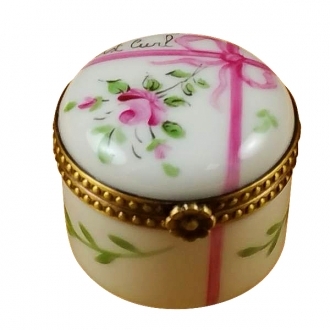 The lid of the box is hand painted with the picture of a flowery turf. 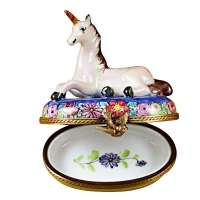 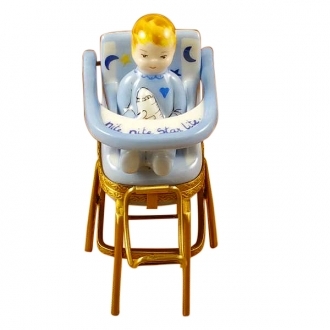 A magical unicorn figure reclines on the lid. 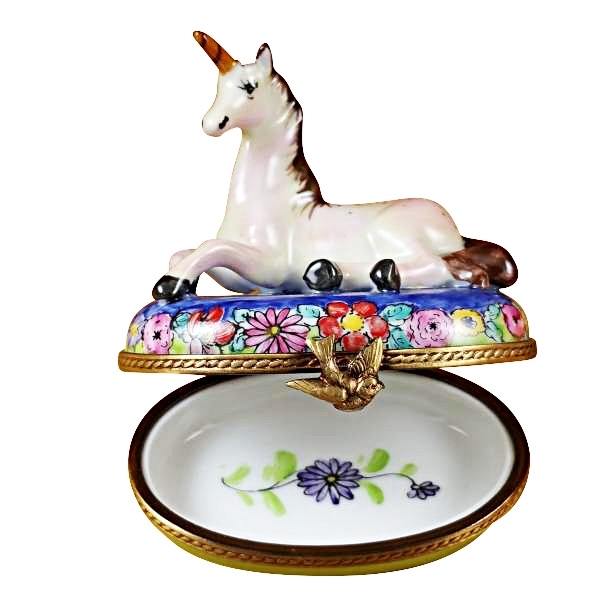 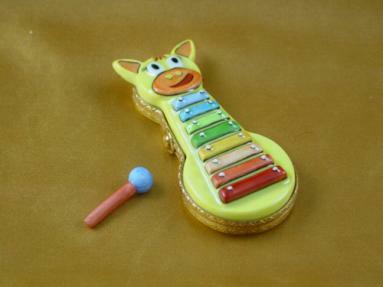 The unicorn is sure to captivate the child’s imagination. 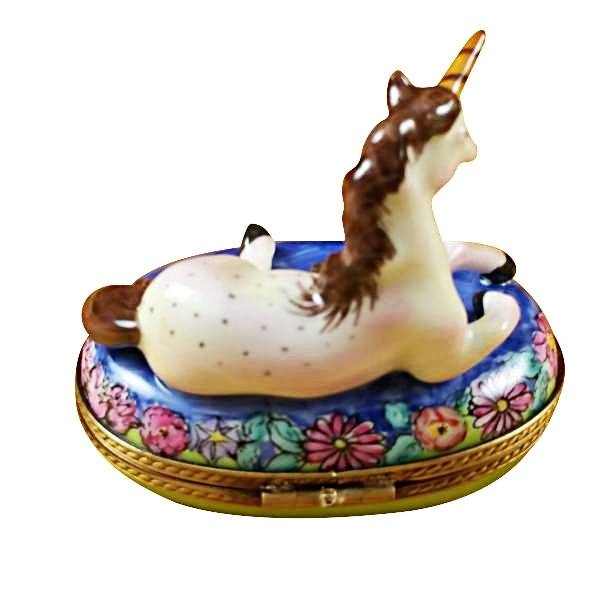 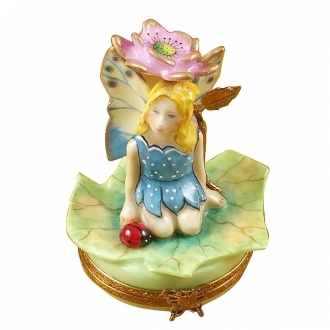 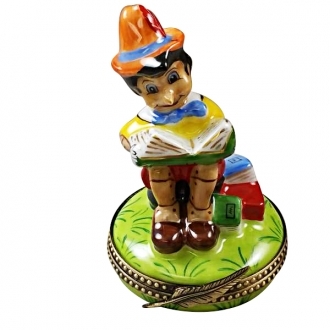 He/she can keep this Limoges porcelain box on the study table to hold trinkets or other keepsakes. 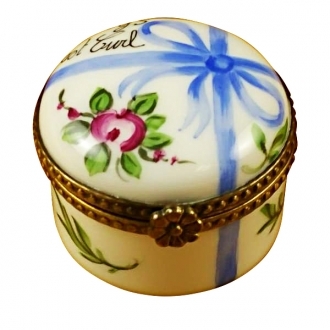 The clasp of the limoges box is shaped like two little flowers. 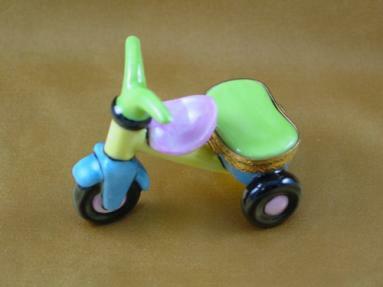 Measurements: 2,5" х 1,5" х 2,25"